The second snow day for the Halifax Regional Municipality in less than a week hit on Friday. This meant another round of snow-clearing for city crews, and shoveling for residents, which was completely fine with Ann Gates, 80. 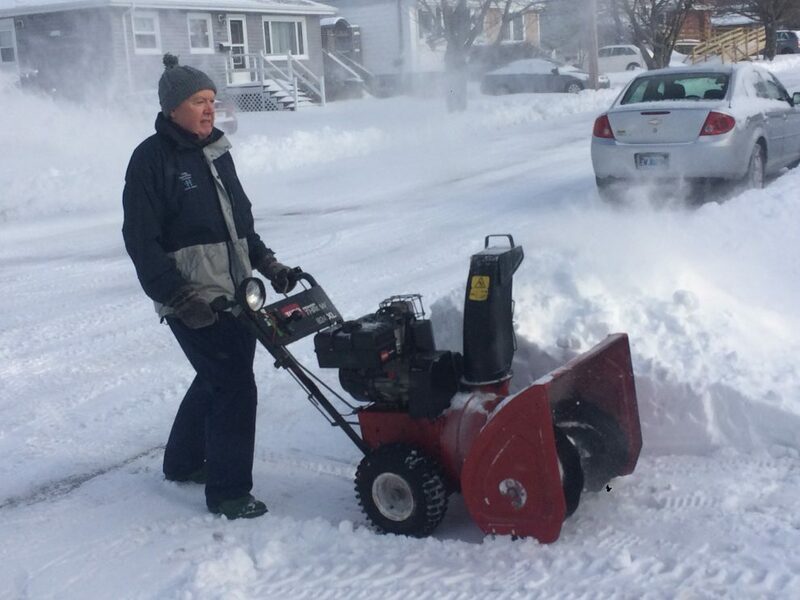 Gates was shoveling away, like many of her neighbours in the mid-morning hour on a small stretch of Moira Street in Dartmouth. “I don’t mind it, except when the wind blows,” said Gates during a quick break from shoveling in her garage. Meanwhile, at the end of the street, Ross Barkhouse was helping his grandparents shovel out before he had to go to Saint Mary’s University, where he is a student. The university delayed opening until noon. Shelly Courtney, a registrar at Dartmouth High School, had a snow day herself, but she was hard at work nonetheless clearing the snow. Courtney is unfazed by the storms, she says. Wendell Coveyduc was getting his driveway ready for a delivery truck to arrive, while also taking care of his back walkway as well. It has been reported by the CBC that the municipality could save one million dollars if residents were once again required to shovel their sidewalks in Halifax. And some in the city have complained about crews damaging properties with their equipment or not doing a good job, including District 9 councillor Shawn Clearly for Halifax West Armdale. With snow-clearing contracts set to expire this year, councillors will have to decide whether to make residents shovel again before they set the new agreements for next year. Gates said she’d rather shovel on her own. Coveyduc, on the other hand, prefers to see the city handling the snow.